Vector refrigerating unit is designed to transport food and beverages in a trailer. Its fuel efficiency, simple to use, and multi-zone capabilities will enable customers to transport different varieties of goods over a long distance of travel. 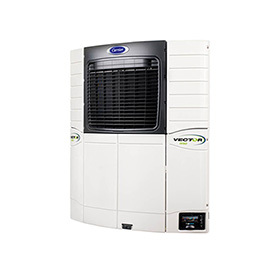 Along with our strategic service point, reliable service, and on-time service, Vector refrigeration unit can be your best solution for your refrigeration need.